“Sometimes I giggle thinking that my muses are having fun painting through my brush today,” Francine recently explained to friends. “I’m happy to share because what appears in my art was first given as a gift to me. Francine enjoys a continuing dialogue with artists in two dozen countries. Her art is displayed in private collections around the world creating a loyal following of clients and friends. The pirouettes of light, color, and movement herald Francine’s art in all its forms –oils, alcohol inks, acrylic, digital, watercolor, mixed media, and silk painting. “The color of light fascinates me. 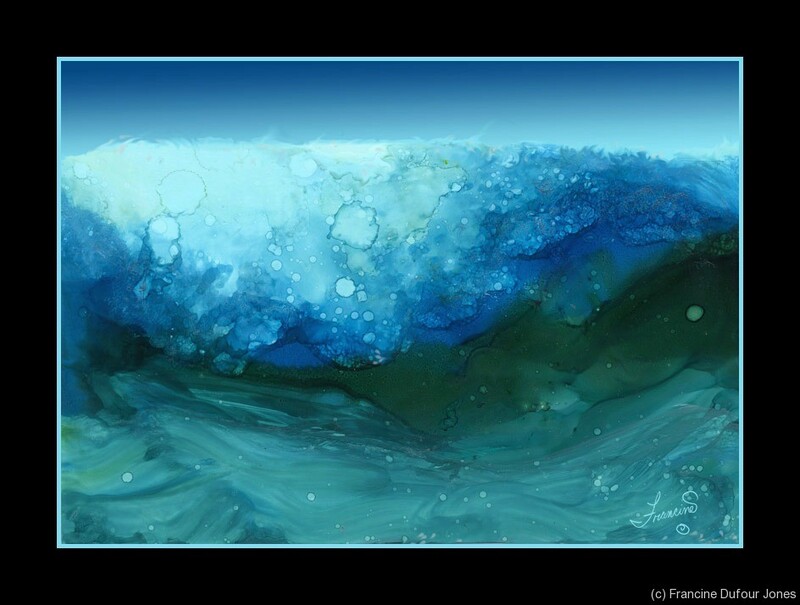 Movement, color and light are the joyfully poignant themes of Francine’s art.